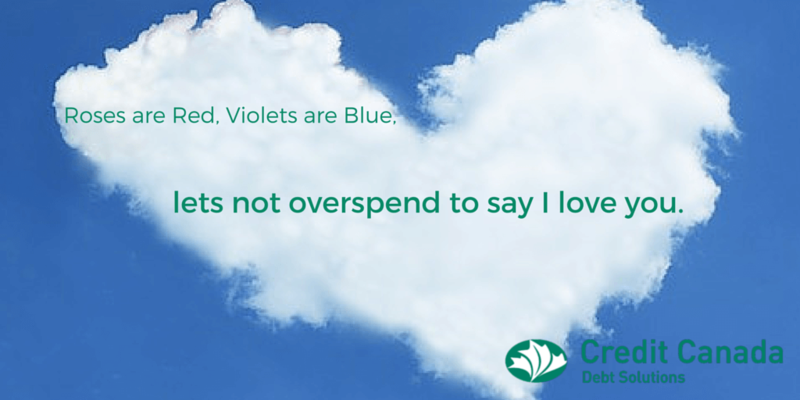 Roses are Red, Violets are Blue, let’s not overspend to say I love you. According to the University of Western Ontario, 60.9% of Canadians that celebrated Valentine’s Day in 2006 spent an average of $100.89 to mark the event. The average Canadian male spends $135.67 to impress his mate, while females spend only about $68.64. Sure, the long stem roses and fine dining are nice if you can afford it but what about those of us sticking to a financial plan? Cook a meal together- Who needs an over-crowded restaurant that keeps you waiting to be seated (even with reservations) when you can prepare a wonderful cozy meal together at home? Even if you aren't a regular Jamie Oliver, fixing something simple together not only saves money but provides an opportunity for quality time together. And hey, even if you burn the casserole, at least you’ll have a funny story to laugh about next year! Go for an evening walk- Just because it’s February doesn't mean you can’t enjoy a lovely stroll with your beloved. Don’t forget to bundle up and why not huddle together for extra warmth and cuddles along the way. Plan a photo shoot- Bring out your creative side! Grab a camera and shoot some couples shots. Themes can range from heart-warming hugs by the fireplace to racy, lacy boudoir (as long as your partner is comfortable with that of course). Say cheese! Try something new- A great way to bond with your partner is to try something new to the both of you together. Maybe it’s a yoga class or a new kind of food. Shared experiences are a great way to form positive memories while sticking to your financial plan. Chit chat- Couples that talk often to each other report being happier in their relationships. Set some time aside to catch up on the things that are important to each of you. Share in your partner’s happiness and good news and support them through their struggles. Be crafty- Projects will likely need to be thought out well in advance but if you are lucky enough to be skilled in knitting, crocheting, woodworking, painting, baking etc, then put those skills to good use. A hand knit scarf will likely cost a fraction of the retail price plus the time invested in home made products makes these gifts that much more special. There are lots of inexpensive ways to show someone that you care about them. If you have a financial plan you're sticking to, have a candid talk with your partner before Valentine’s Day, birthdays or any other holiday and decide on a fair price limit for gifts. After all, you probably don’t want your sweetheart expecting a blue box from Tiffany’s when you had a Ring-Pop in mind. Happy Valentine’s Day!